Club Members are now able to upload their own pictures. This is an important Historical record for your club. User registration to the Photo Gallery only has been suspended indefinitely due to on-going spamming of from 50 to 100 false registrations per day. 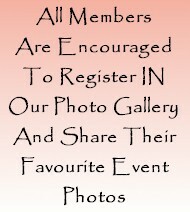 New Club Members wishing to register and upload photos should contact the Web Master to create an account for them. Existing user accounts are still accessible.